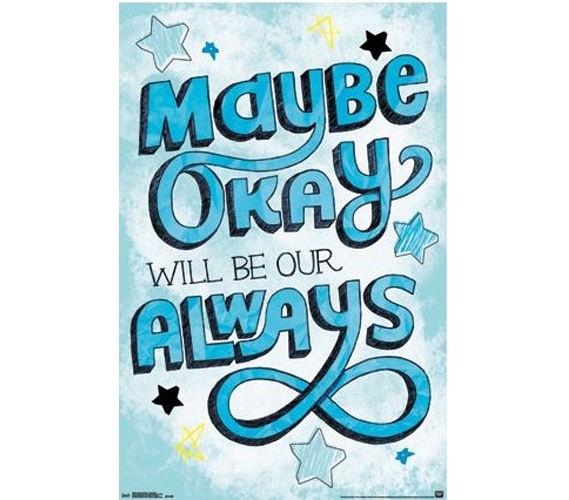 This cute poster for college will make a fun and even heartwarming addition to your dorm wall decor. No one said that posters for college shouldn't do more than just look good. After all, the best dorm stuff and dorm wall decorations can affect how your dorm feels in addition to just how it looks. So with that in mind, include posters for dorms that have some character to them. With so many college supplies to shop for, from dorm bedding, to college furniture, to cooking supplies for dorms, you'll need to save room in your dorm shopping budget for college decorations. Fortunately, though, posters for college are cheap dorm items, so don't overlook these must-haves for college, as you can always add a couple to your inventory of college products.